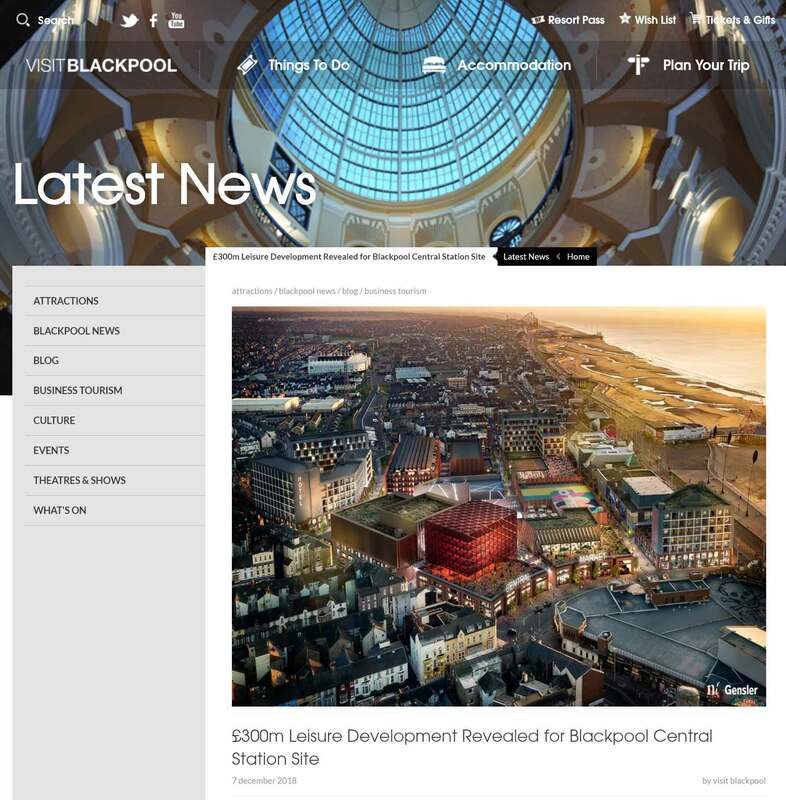 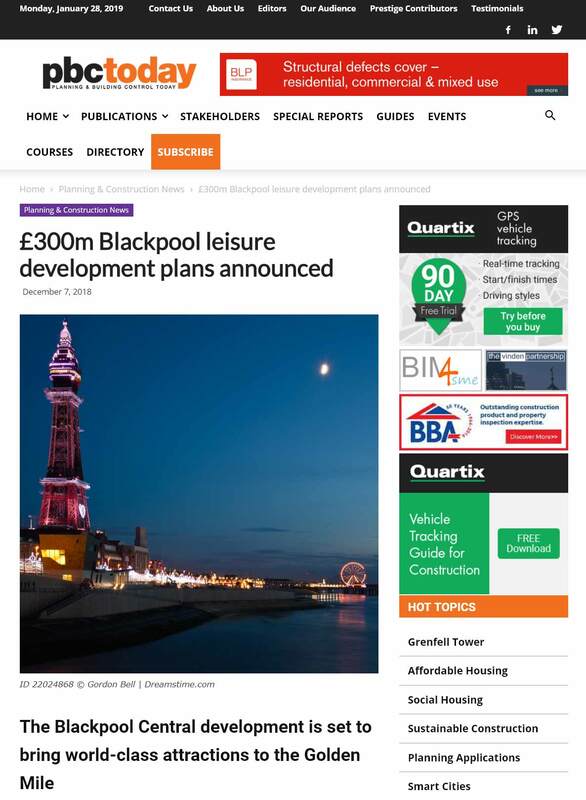 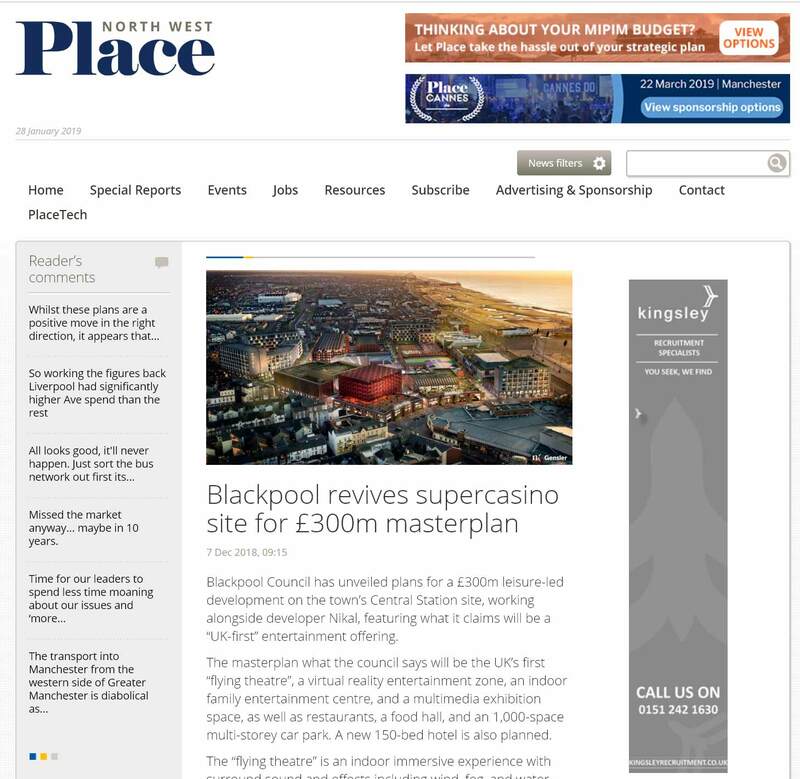 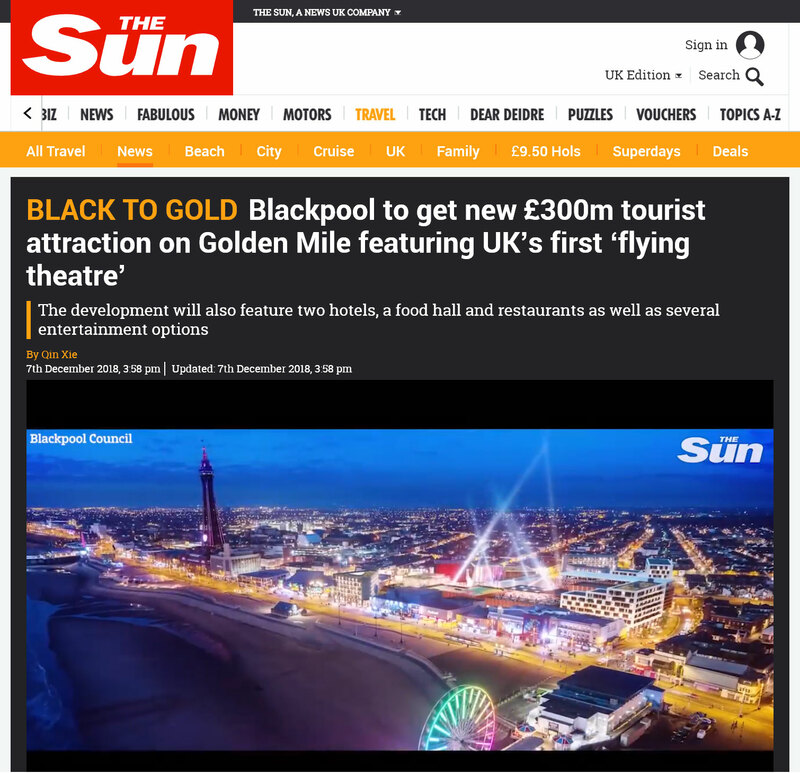 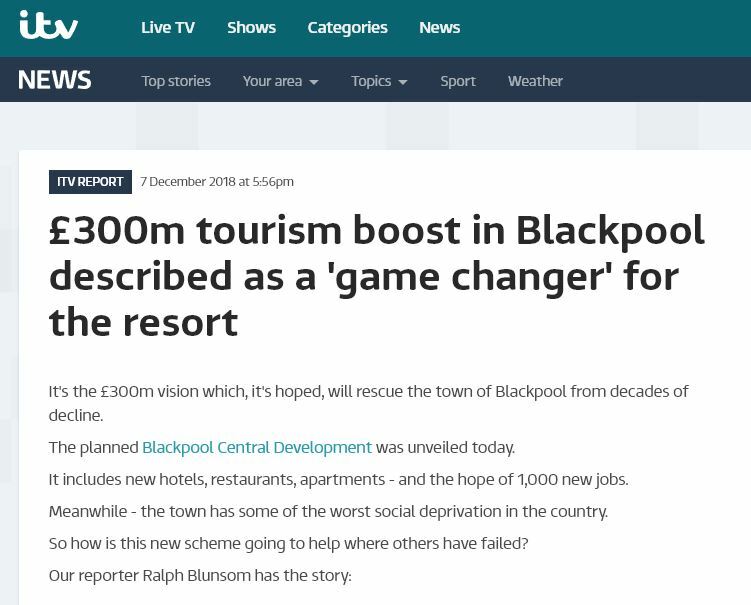 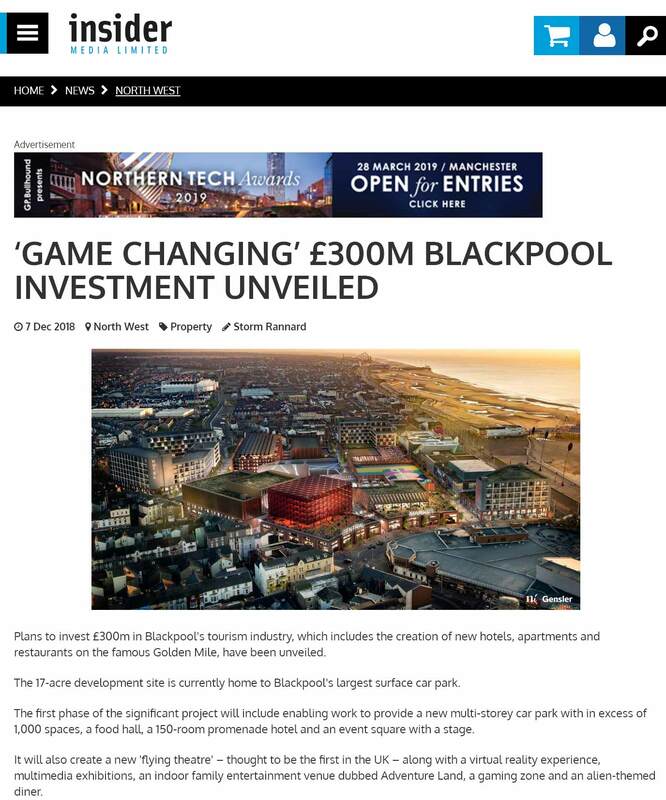 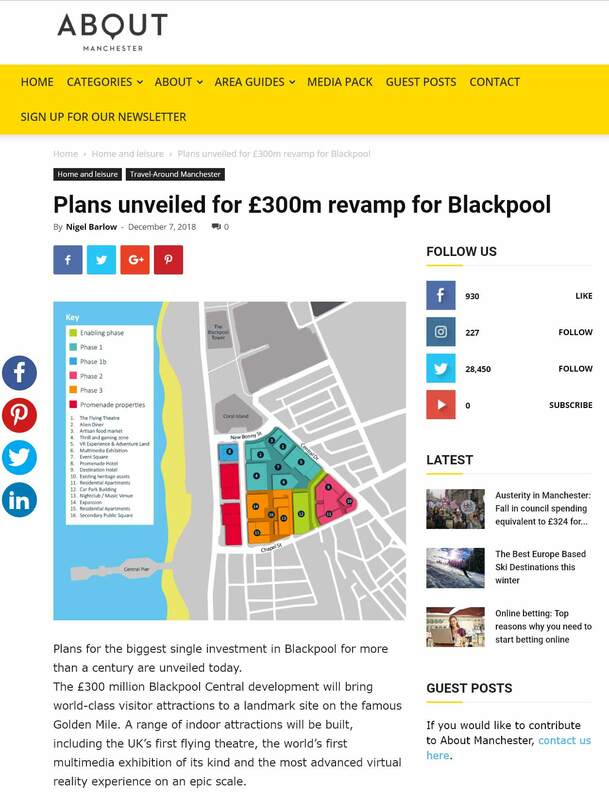 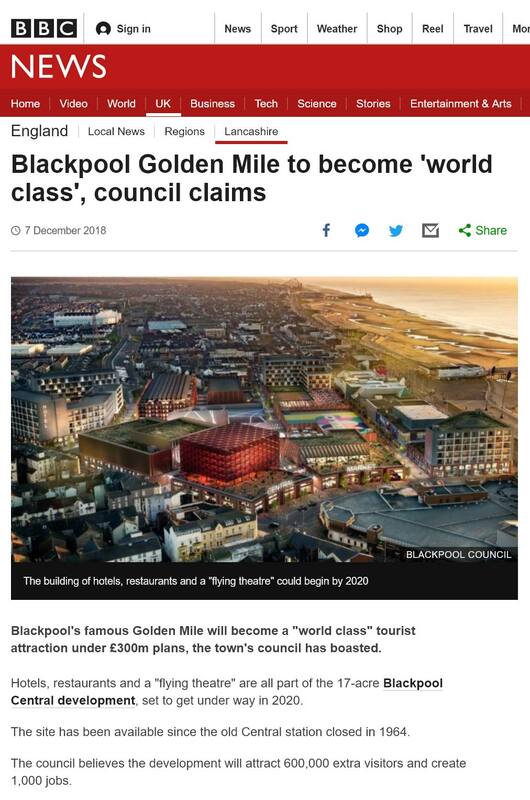 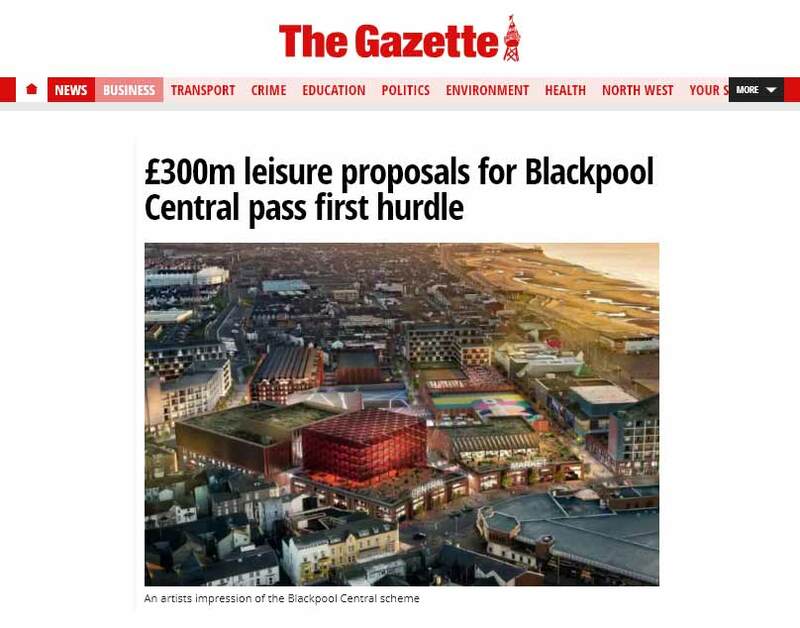 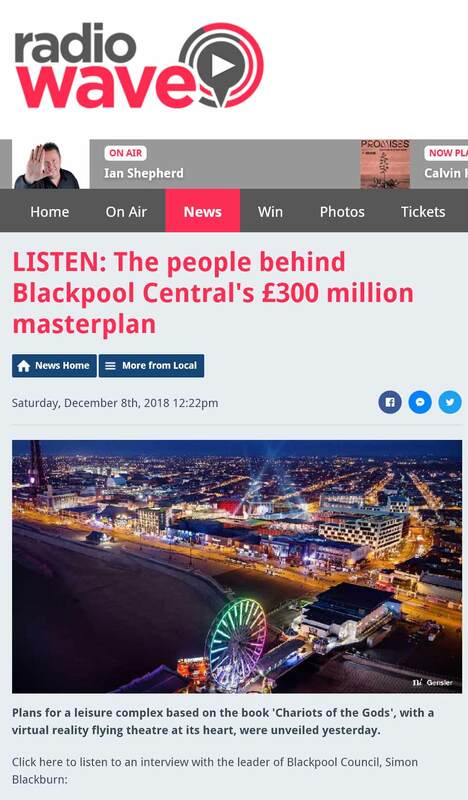 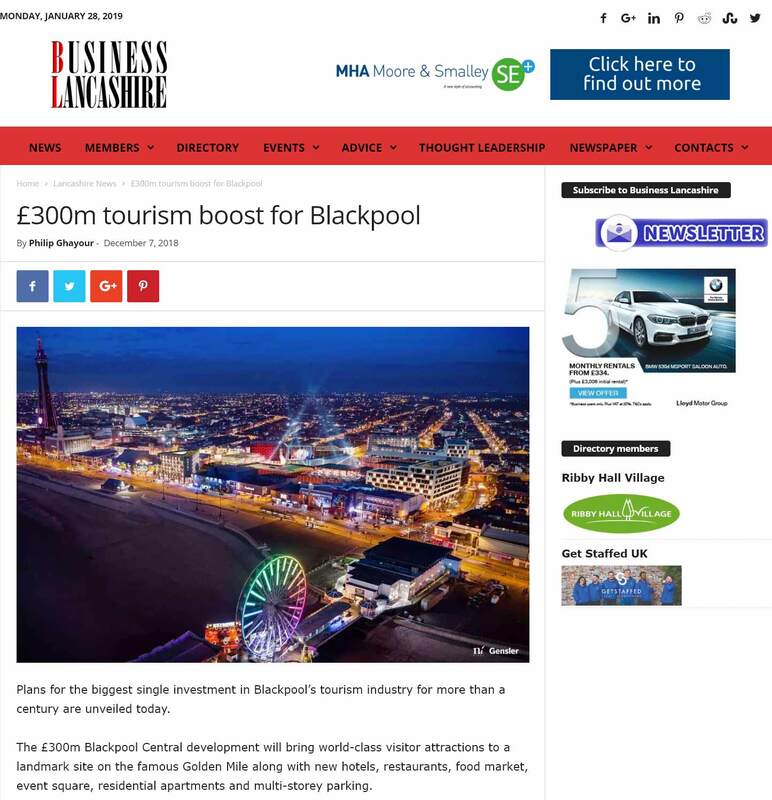 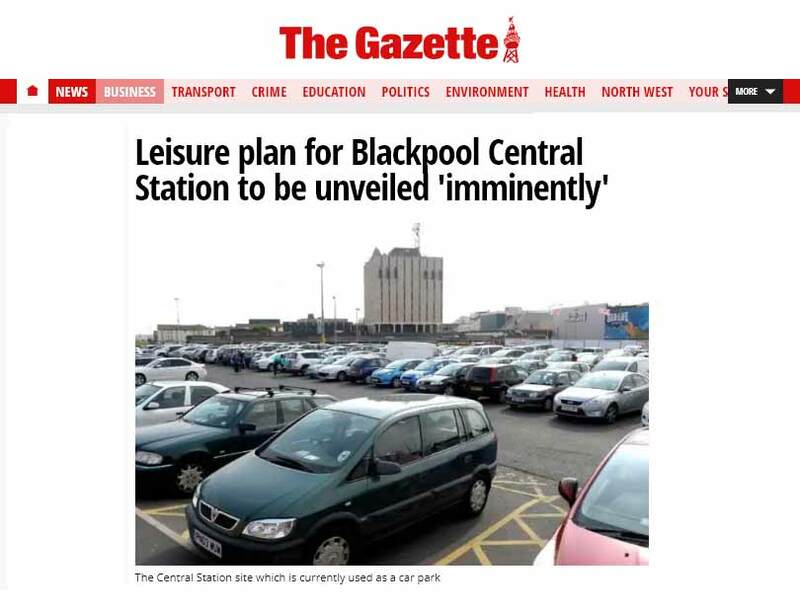 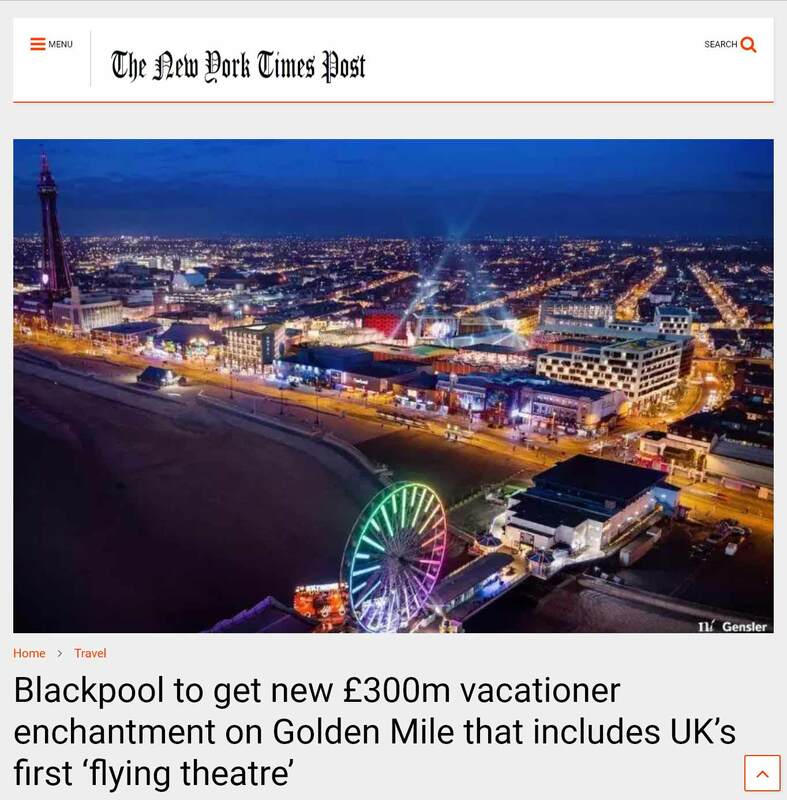 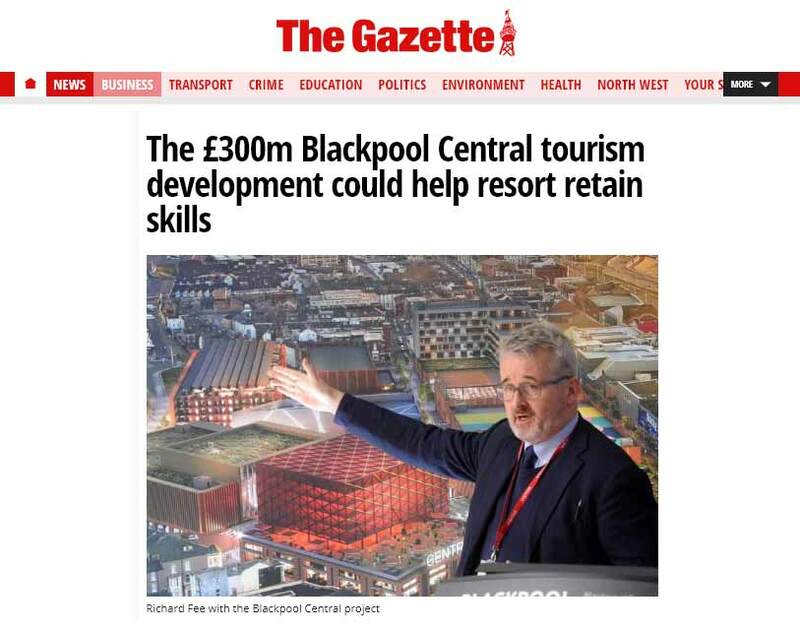 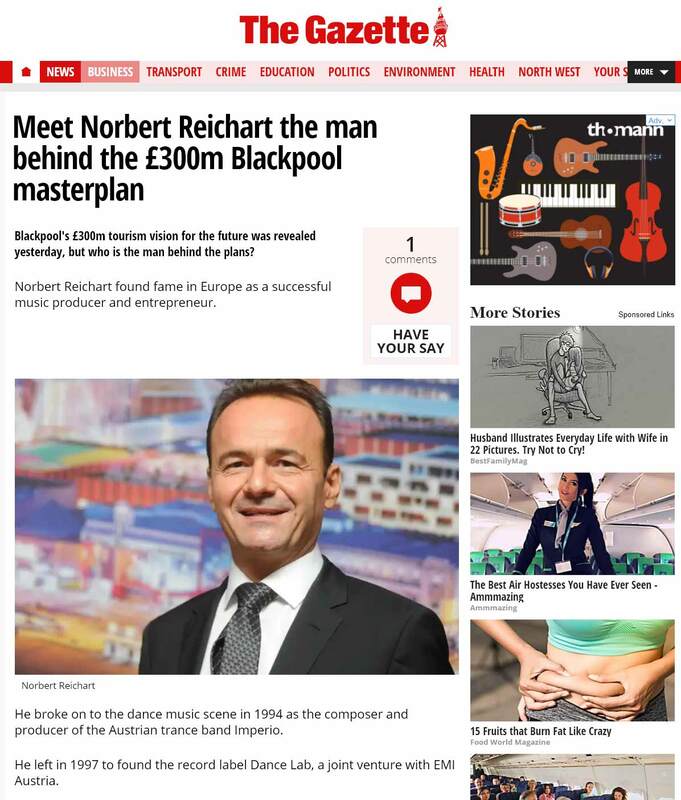 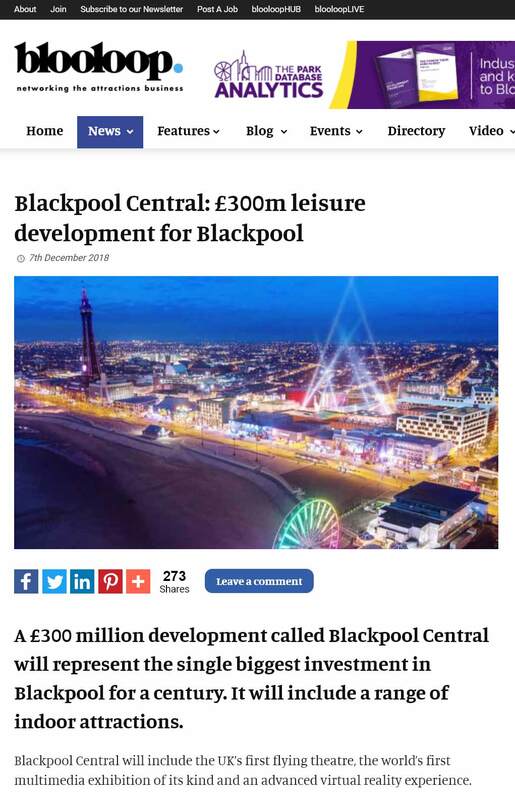 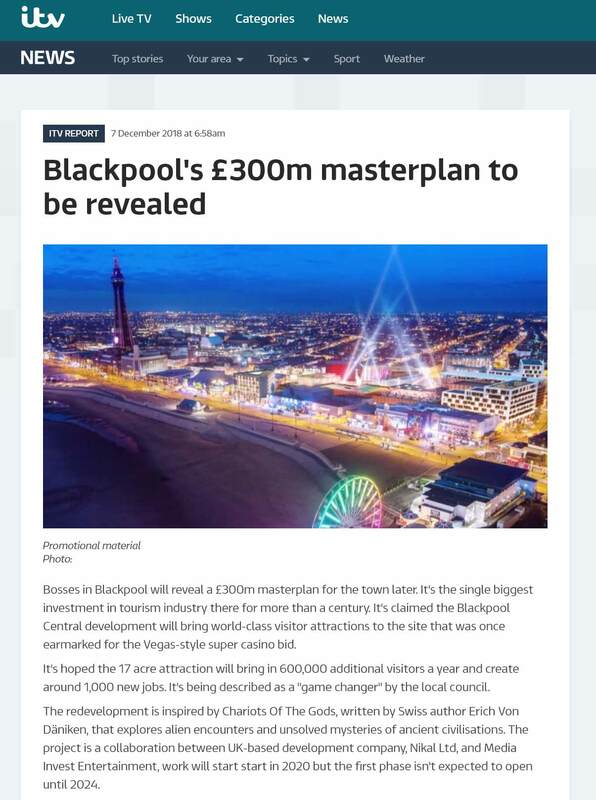 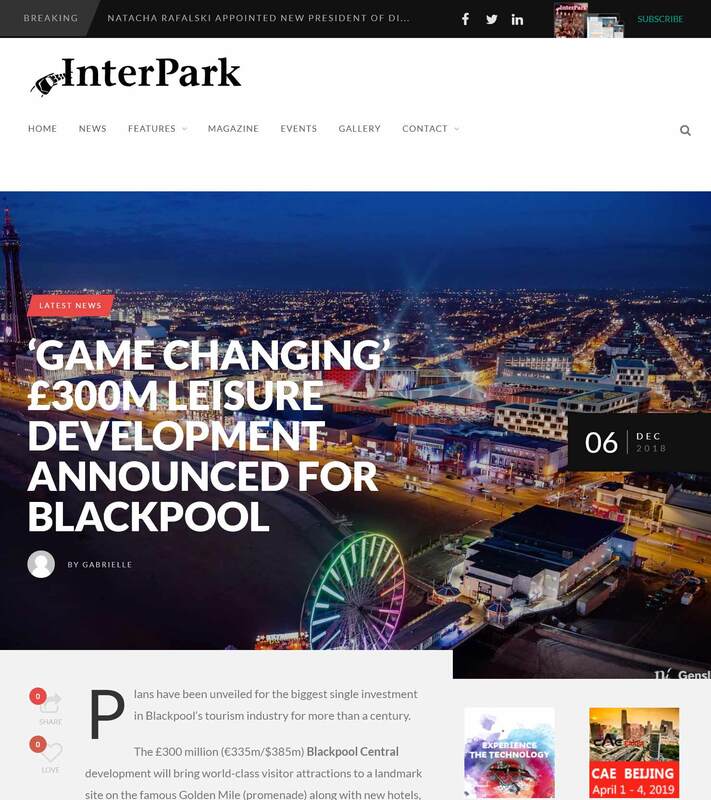 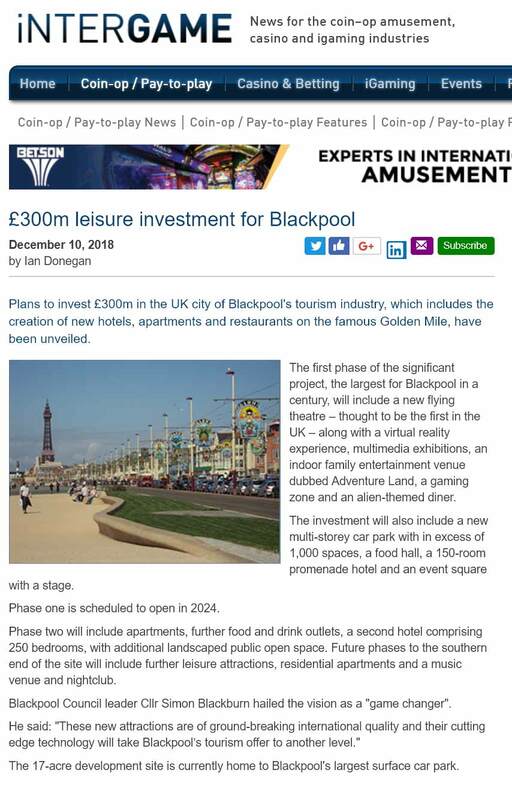 The £ 300m Black­pool Cen­tral devel­op­ment will bring world-class vis­i­tor attrac­tions to a land­mark site on the Gold­en Mile along with hotels, restau­rants, food mar­ket, event square, res­i­den­tial apart­ments and mul­ti-storey park­ing. 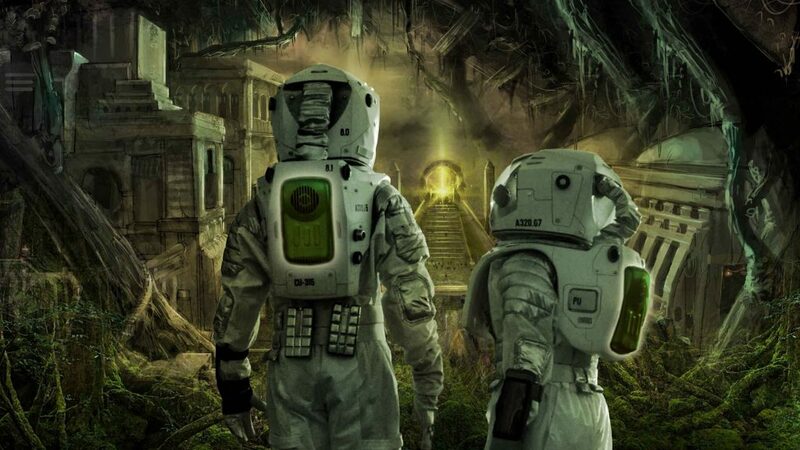 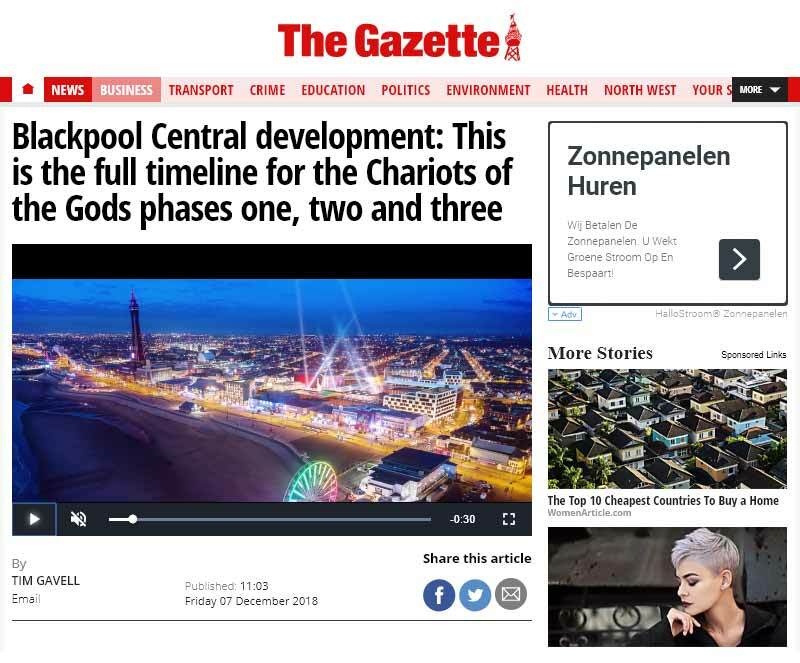 The mas­ter­plan for the long-await­ed rede­vel­op­ment is inspired by “Char­i­ots Of The Gods™”, a glob­al pub­lish­ing phe­nom­e­non, writ­ten by Swiss author Erich von Däniken, that explores alien encoun­ters and unsolved mys­ter­ies of ancient civ­i­liza­tions. 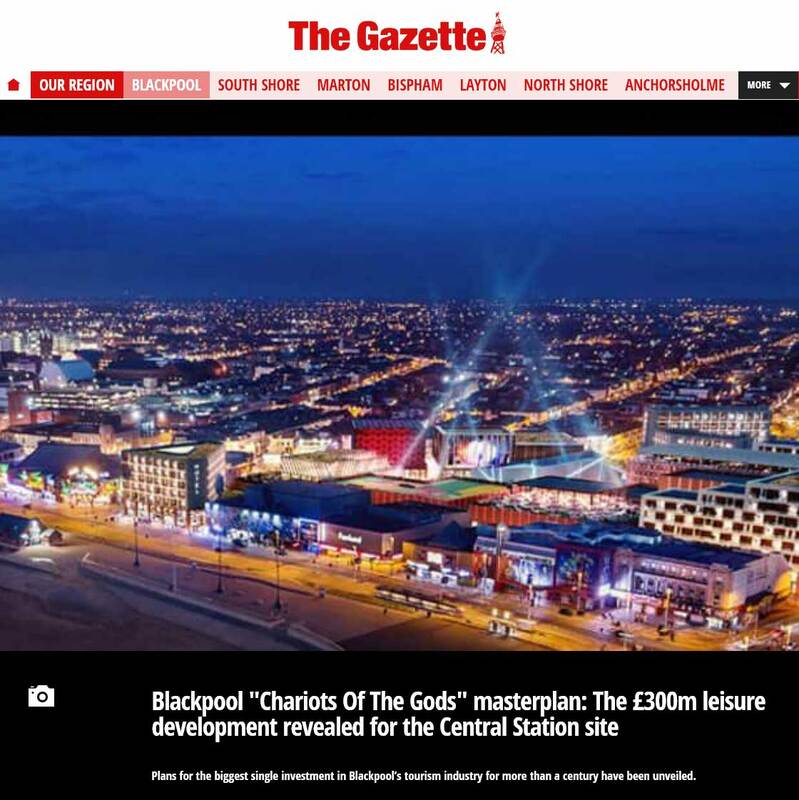 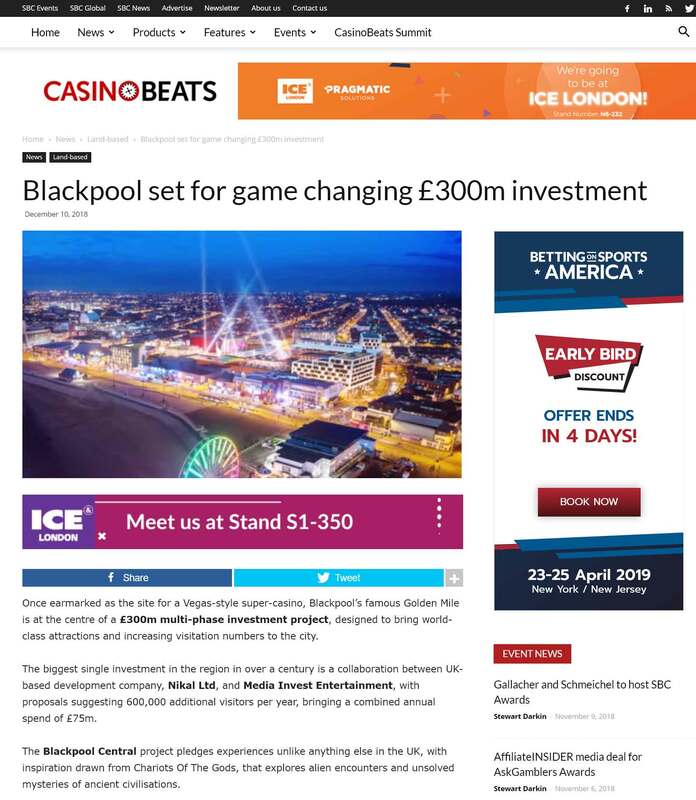 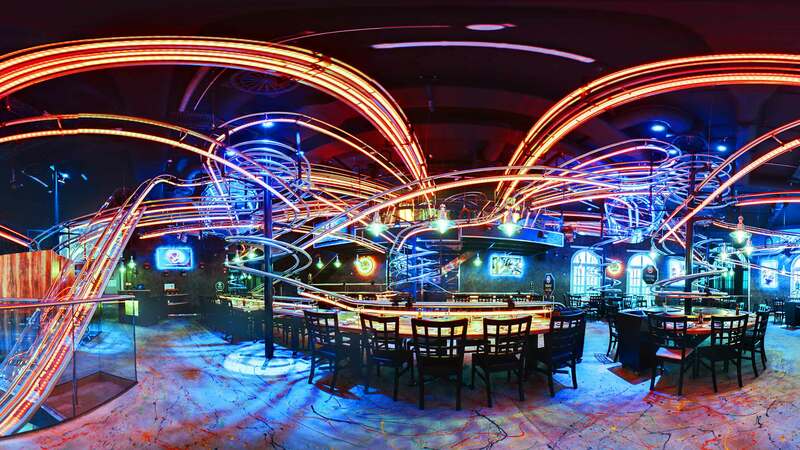 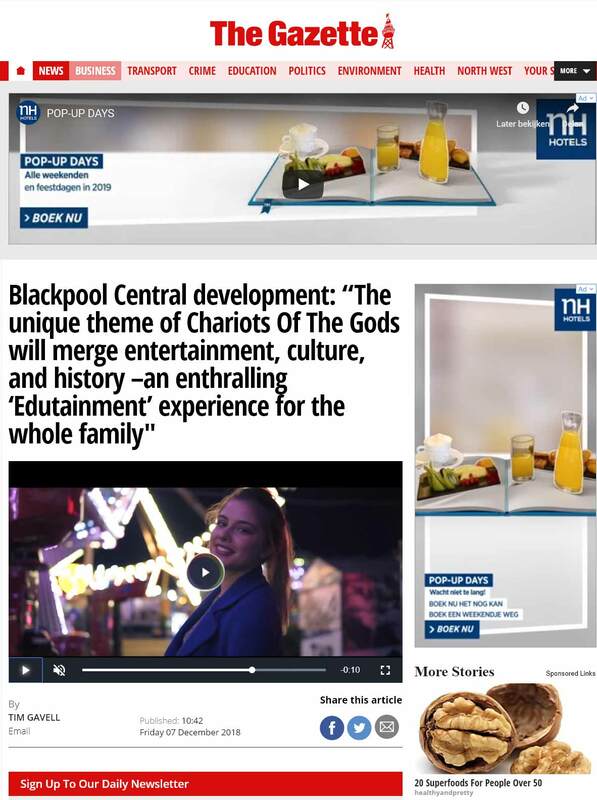 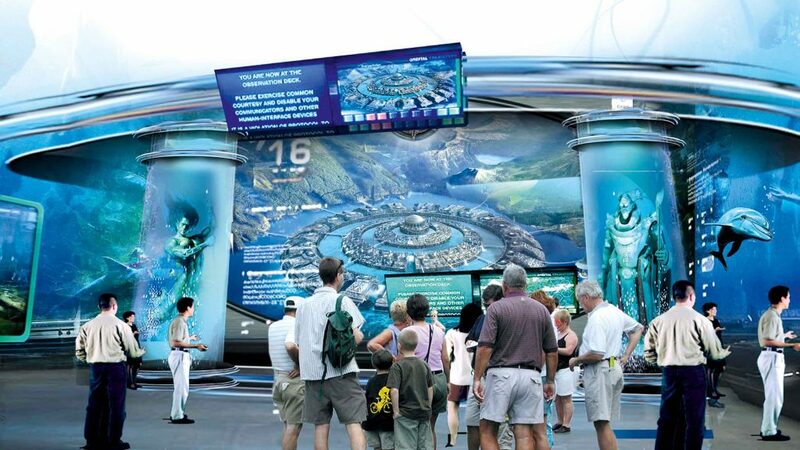 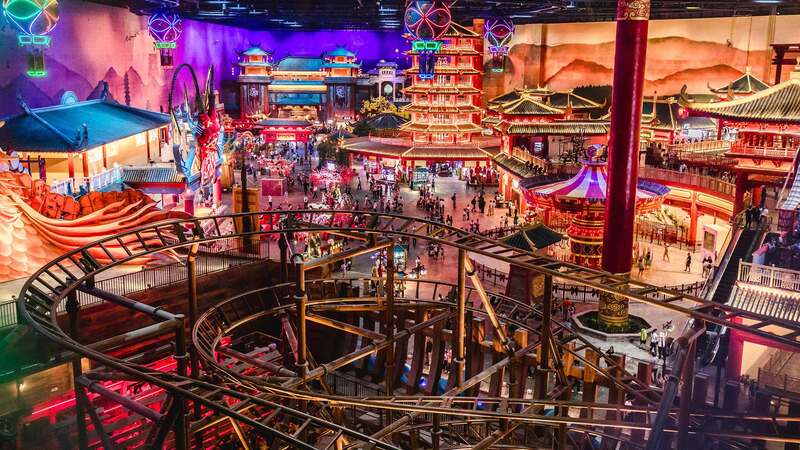 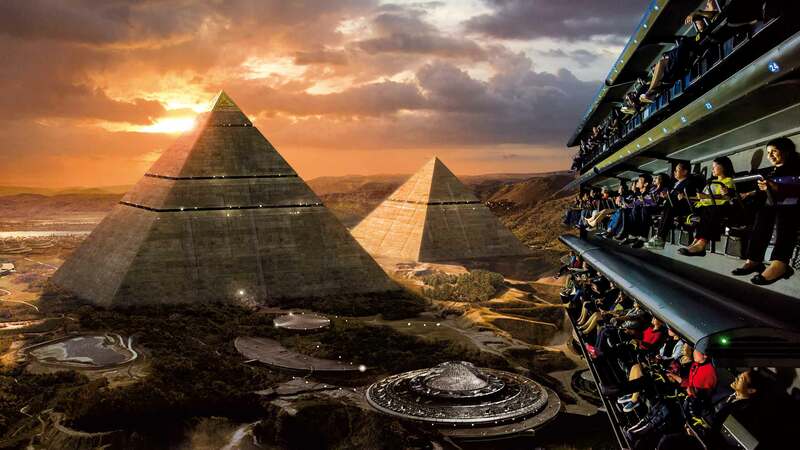 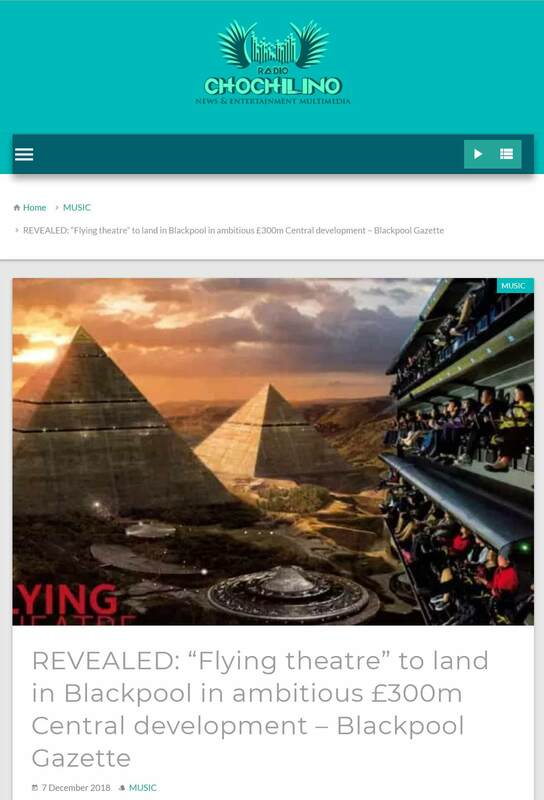 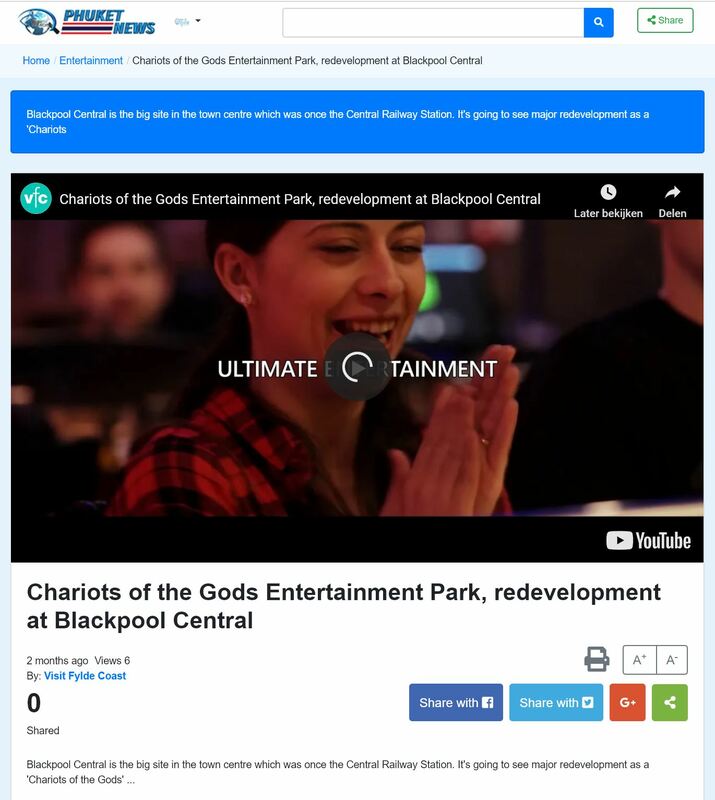 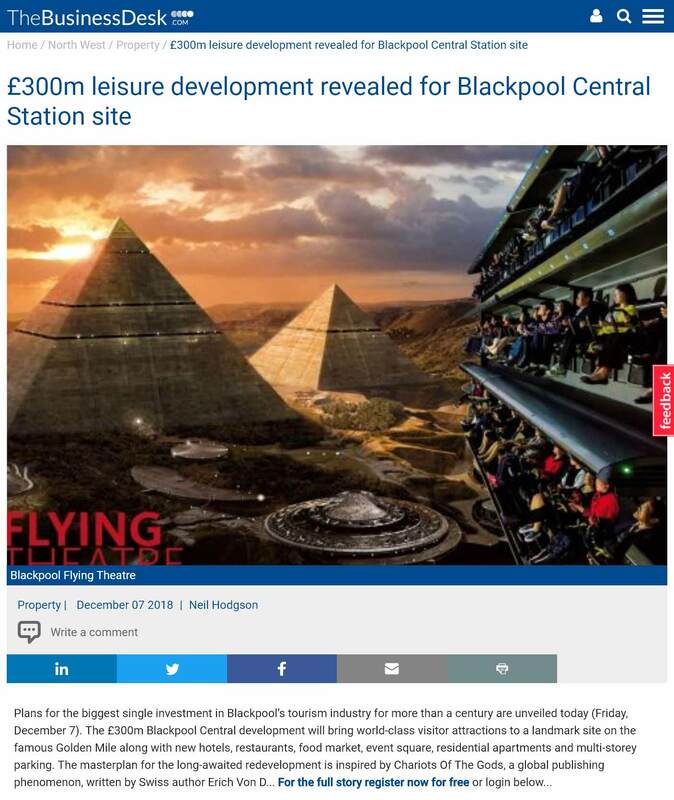 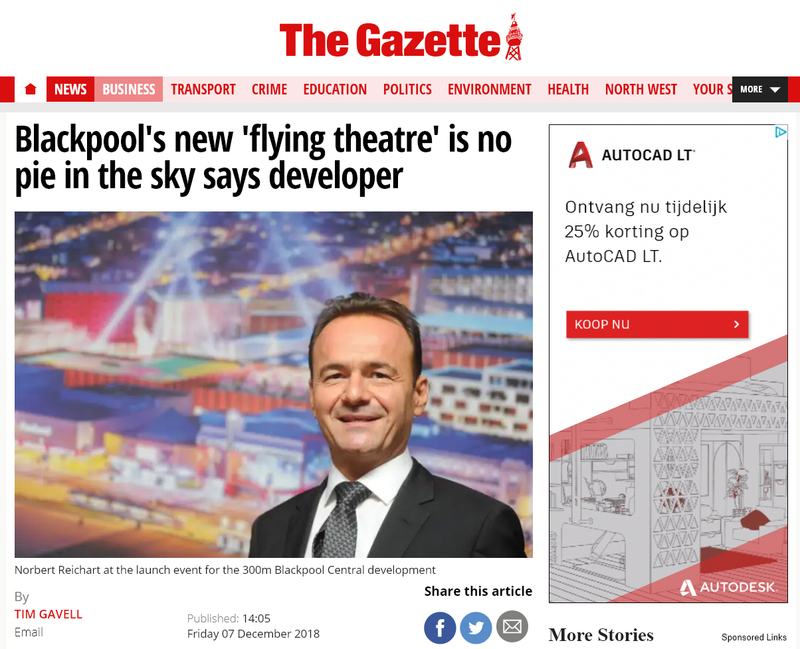 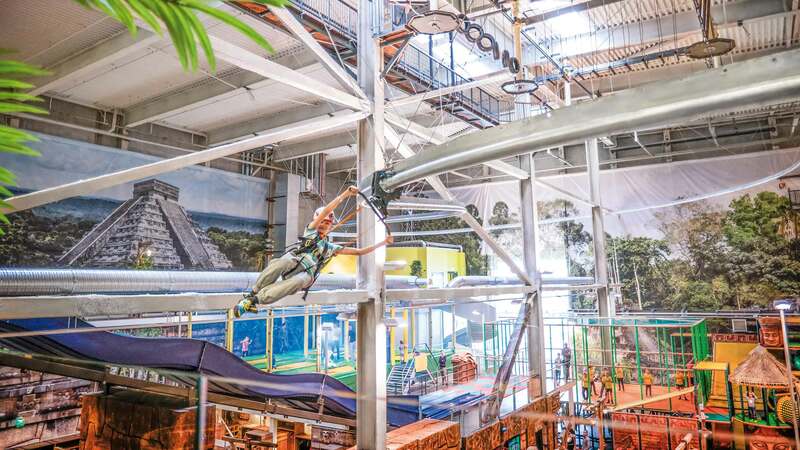 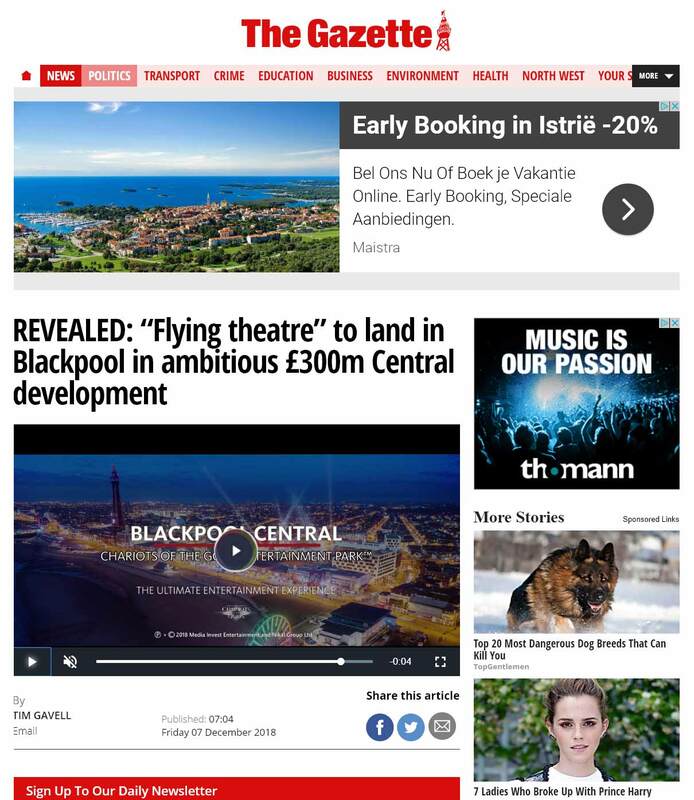 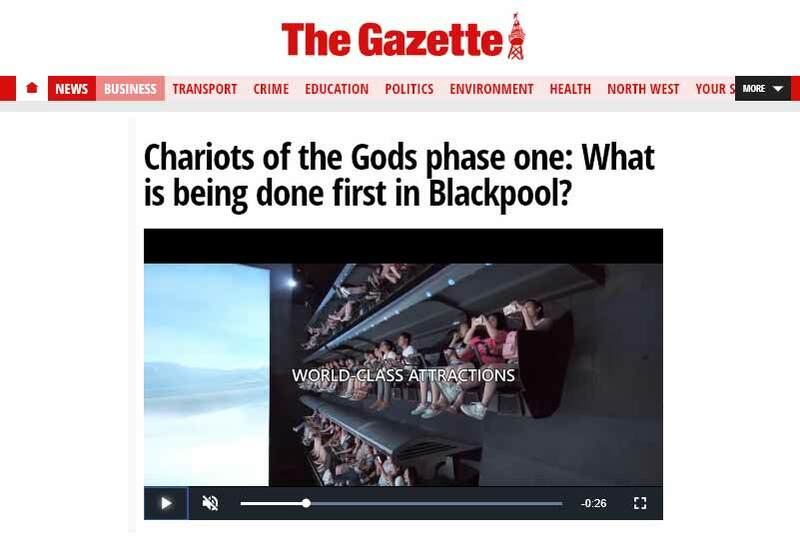 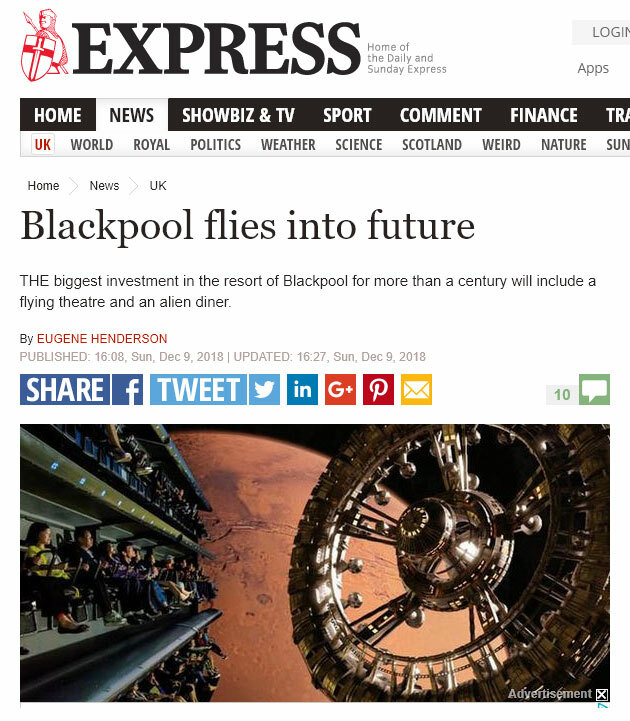 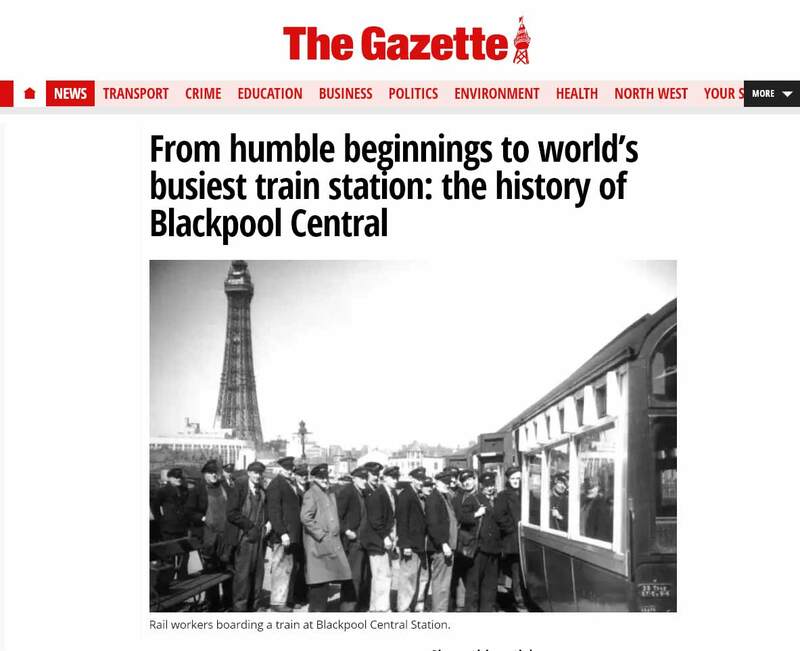 “Char­i­ots Of The Gods™” will be the main theme for Black­pool Cen­tral includ­ing the anchor attrac­tion – the UK’s first “Fly­ing The­atre”, a ful­ly-immer­sive thrill ride that will cre­ate the incred­i­ble sen­sa­tion of human flight. 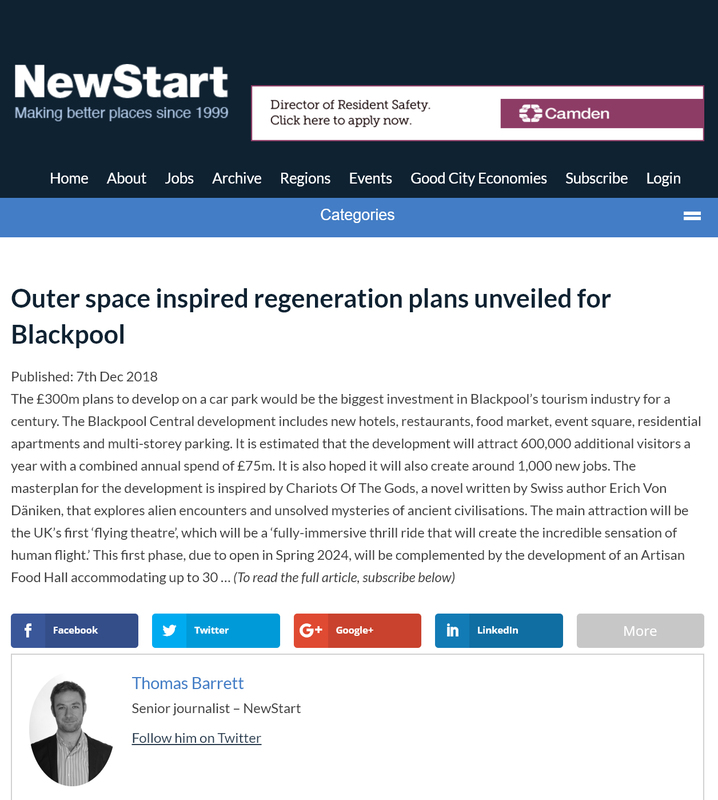 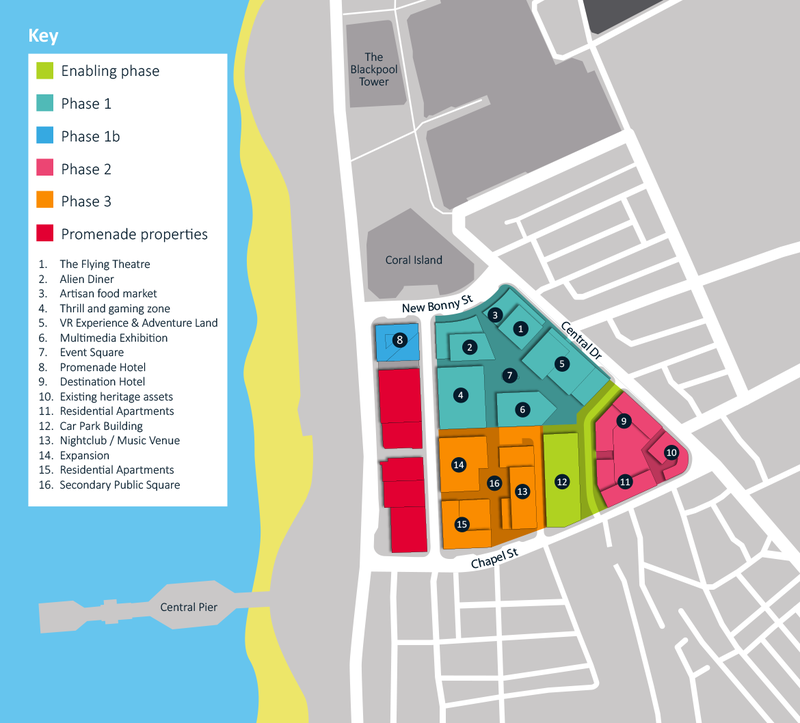 Work on the cur­rent Cen­tral Sta­tion site in the heart of the town, just a short walk from the famous Gold­en Mile could start as ear­ly as 2020. 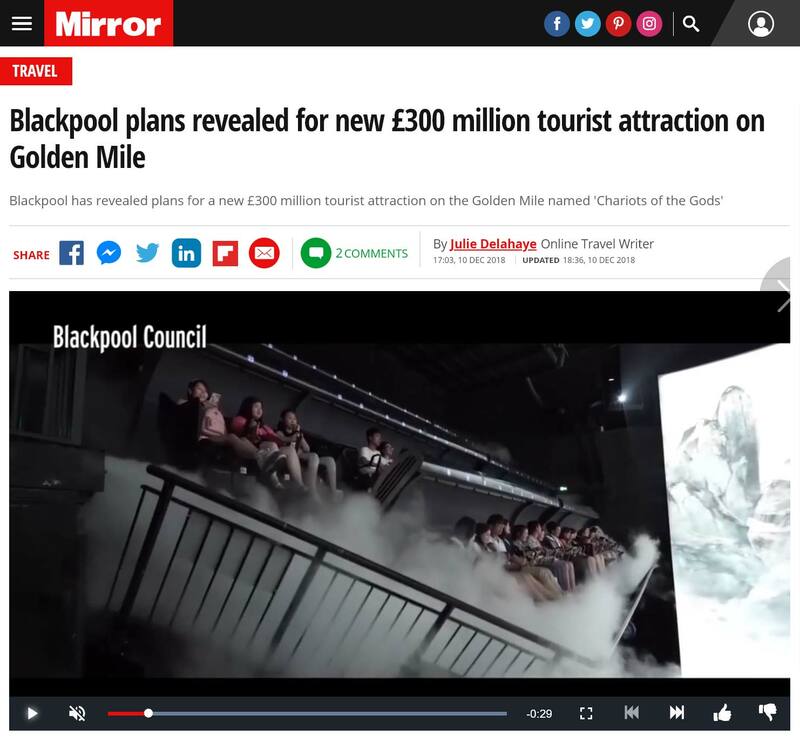 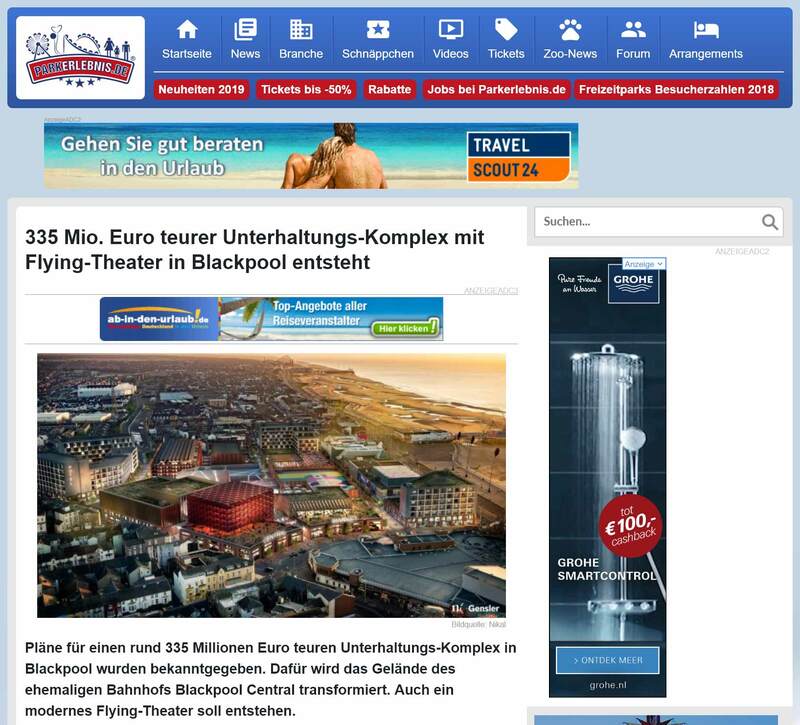 It is esti­mat­ed that the devel­op­ment will attract 600,000 addi­tion­al vis­i­tors a year with a com­bined annu­al spend of £75m. 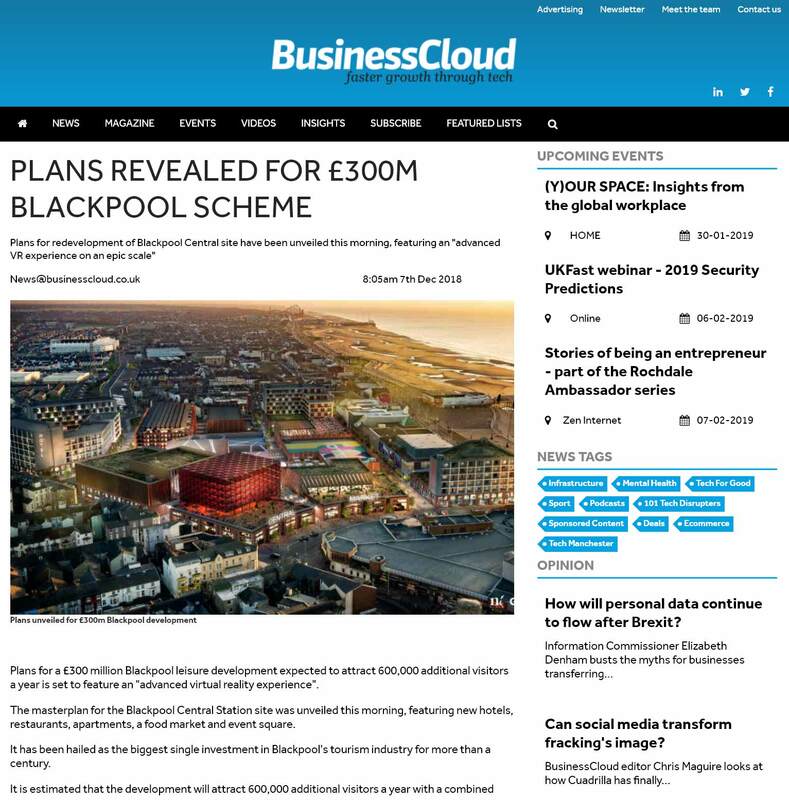 It will also cre­ate 1,000 new jobs for peo­ple in Black­pool. 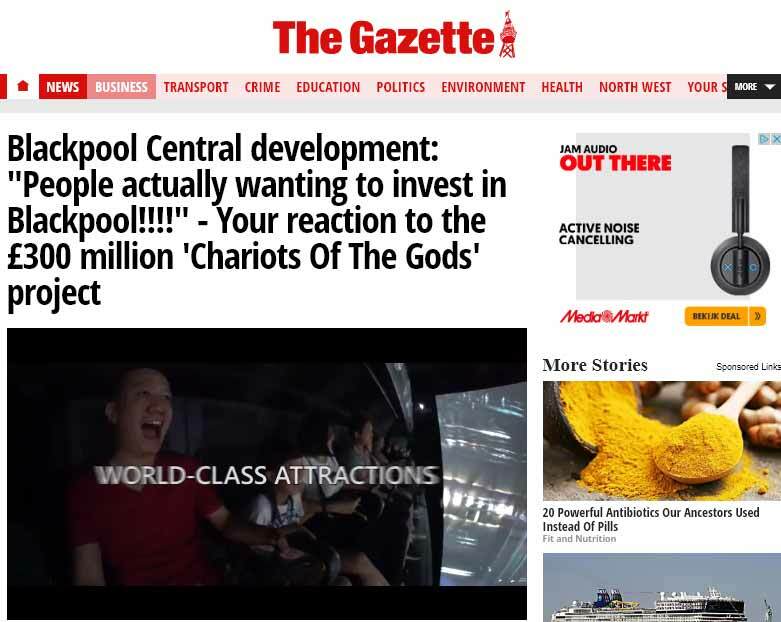 The project is a col­lab­o­ra­tion between Nikal Ltd, and Media Invest Enter­tain­ment, which owns the intel­lec­tu­al prop­er­ty rights of Char­i­ots Of The Gods. 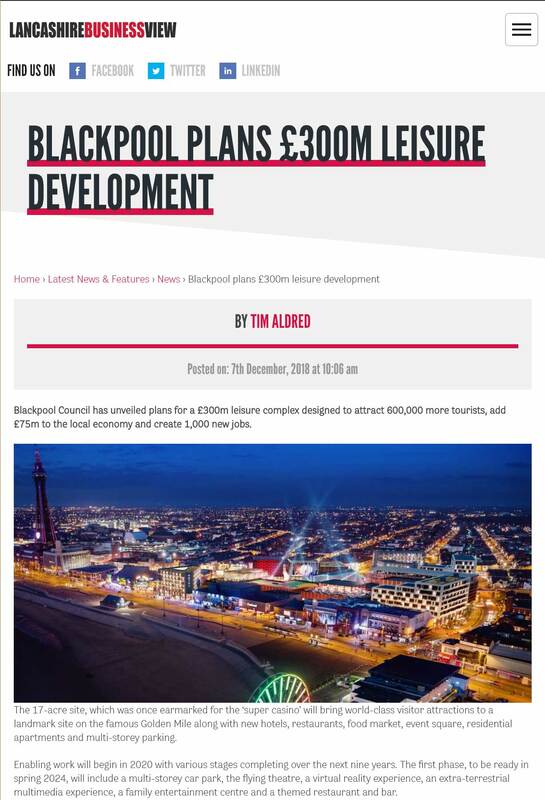 Black­pool Coun­cil is work­ing close­ly with both par­ties to help ‘unlock’ this devel­op­ment oppor­tu­ni­ty which is envis­aged to be deliv­ered over sev­er­al phas­es over an 8-9 year peri­od. 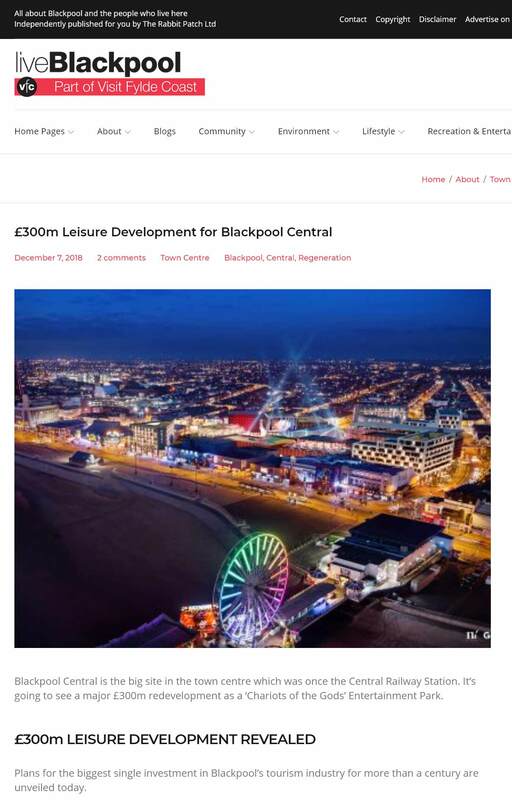 Black­pool Coun­cil has worked hard to plan for an all year-round attrac­tion, which will cre­ate a range of jobs for peo­ple liv­ing in the area.